How a celebration of art bridged communities in the Grand Rapids area. This group joined together to create this day-long, free community event using the arts to raise awareness, collaboration and understanding in two traditionally underserved communities: the Hispanic/ Latino/a community and the Disability community. 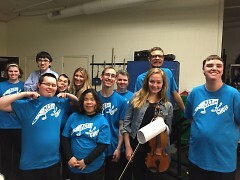 The collaboration of each program provides an opportunity for people of all ages and backgrounds to experience dance, music, and visual art in a unique learning environment. Last month, the Grand Rapids Ballet was filled with a diverse group of artists and a wide variety of art. Celebrate! is a community event hosted annually by Artists Creating Together, Girls Choral Academy, Cook Arts Center (through Grandville Avenue Arts & Humanities), and the Grand Rapids Ballet. The event is intended to bring together underserved communities and celebrate their passion and art. Each community brought excitingly unique passions and perspectives to the event. “Celebrate was successful before it even started,” shared Glenn Del Vecchio, Executive Director of the Grand Rapids Ballet, after the performances settled down. “The fact that there is a group of individuals who are dedicated to making sure that art and culture can be part of our kids’ lives—kids with disabilities, kids in at-risk neighborhoods, kids of all ages—means that this community is vibrant and strong. 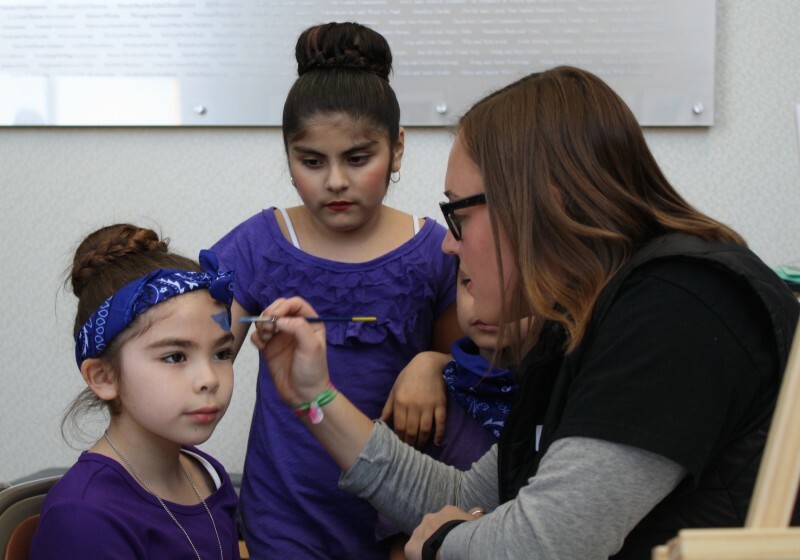 Performances ranged from breakdancing, drumming, collaborative choral performances, hip-hop, folklorico, rock music, pom dance, music trio with guitar, piano, and violin, sewing showcases, and ballet. Even then, these are just performances on the main stage. The communities took their individual passions a step further and collaborated with one another, creating a truly unique and inclusive celebration. Celebrate! 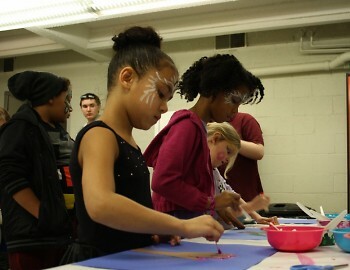 also provided craft opportunities, art and performance workshops, a gallery of student artwork, and facepainting. The Cook Arts Center, which put on performances ranging from breakdancing to Mexican Folkloric dance to a pom dance, focuses on bringing art to youth residents of Grandville Avenue through diverse programs. Their programs aim to celebrate inclusivity and culture in a safe space celebrating passion in art. “Celebrate! is not only an opportunity for art students to perform; it is also an opportunity for them to support art in the community,” Rosalez shared. Artists Creating Together’s ACTion Drummers and ACTion Choir also made appearances, each doing individual performances on stage and collaborative performances with other groups. ACT’s involvement in Celebrate! ensured that people with disabilities were empowered in the community as well, and people with disabilities that intersect with the other two organizations would also be represented and celebrated. Close to 300 people from the Grand Rapids community filled the various areas of the Ballet, showing support for art and the underserved communities Celebrate! represents. Performers and guests left exhausted from the high level of energy and excitement, and yet all were smiling. Melissa Wassenaar reflected: “We are so thankful to be partnering with other organizations who are like-minded and encourage growth and community through the arts."